Korean food is soooo popular right now in Australia, and if you’re in Melbourne you’ve got to try Joomak Korean Restaurant. KFC, kimchijeon, even makgeolli(!) – Joomak will transport you to street stalls of Myeongdong, Busan and Jeonju! You know you’re getting the real deal when the wait staff struggle to understand your English! More often than not we fail. But in Joomak we picked a massive Melbourne winner! 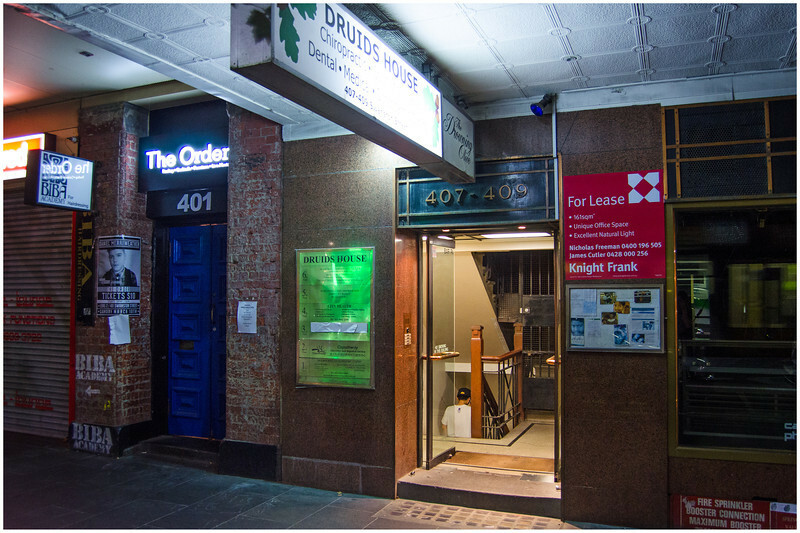 Walking past the front door of Joomak at the northern end of Swanston Street, you would have no idea that it was even there. Squeezed in between what looked like a nightclub and a vacant office, the front door and surrounding walls give absolutely no indication there is a Korean restaurant in the building! 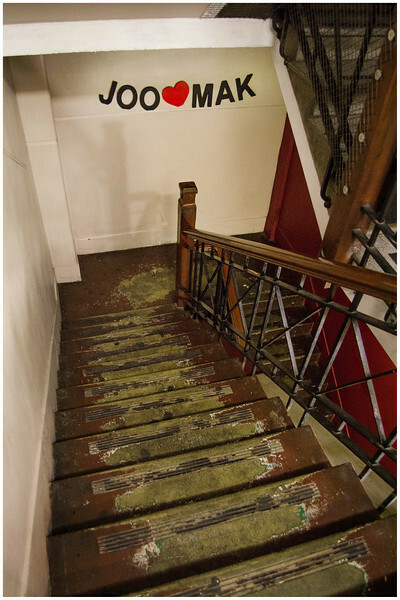 As we stepped inside we were seriously starting to doubt that we’d written down the wrong address…until we looked down the stairs and noticed the big sign on the wall, proudly stating that this was indeed the entry to Joomak! 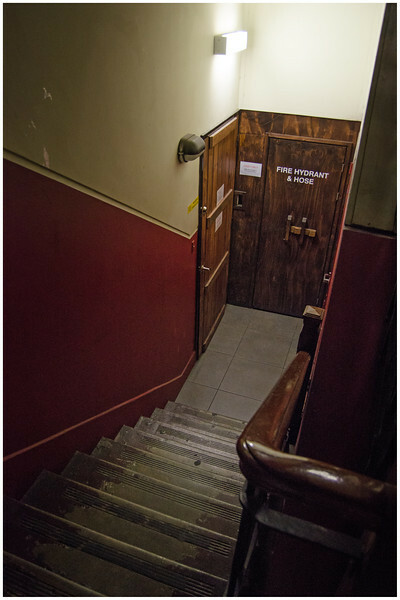 A descending stairway to culinary heaven…or perhaps a night we would live to regret? As we turned the corner we were confronted by a very solid timber door that wouldn’t have looked out of place in a 1920s prohibition-era den of sin. We opened the door and immediately knew we were in the right place! Tasty aromas wafted through the open doorway while the buzz of happy diners washed over our ears. Thankfully we had booked a table because it looked extremely busy – another good indicator of a great restaurant, especially on a Monday! 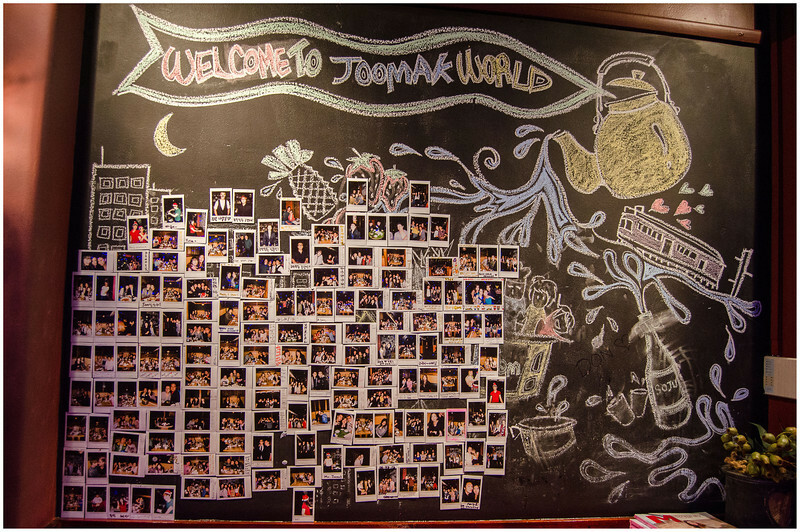 The layout of Joomak is pretty cool, consisting of lots of small and large booths along the walls. Walking past the ‘welcome’ wall-o-photos we scored ourselves a very cosy little two-seater! Lots of happy Joomak customers, and hardly an Anglo-Saxon face amongst them! 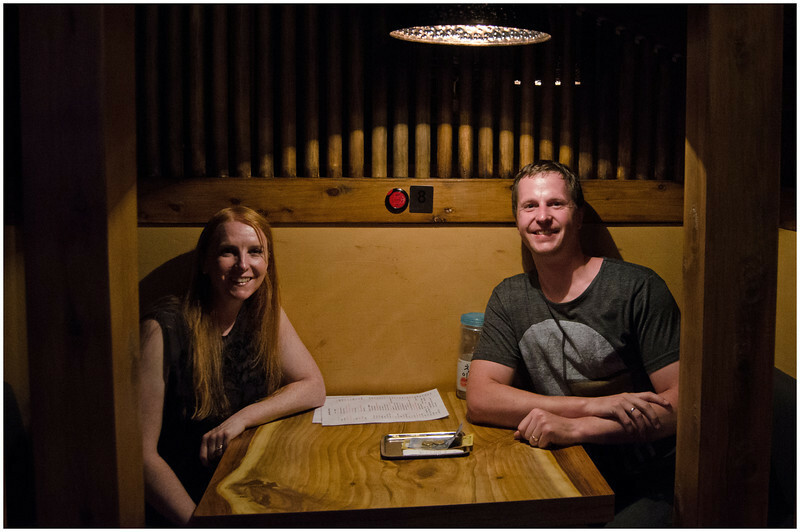 Unlike other ‘normal’ restaurants in Australia, at Joomak they approach things a little differently. Instead, at Joomak they put the control in your hands…literally! See that big red button on the wall in the photo above? That’s the service button. Ready to order? Push the button. Feel like another dish or three? Push the button. So simple, yet so good. And they really did pay attention to it. Every time we pressed it we had someone at our table within a couple of minutes at the most. The Joomak menu is fairly diverse, and while I haven’t been to Korea the menu had an authentic feel to it. Update: Since visiting Joomak we’ve actually had the chance to travel to Korea (you can find our blog articles here) and we can indeed confirm that the Joomak menu is not only authentic, but the food is very close to what you would get back in South Korea ie. in other words, it’s sensational! First up was an oddity that Karen was very keen to try. 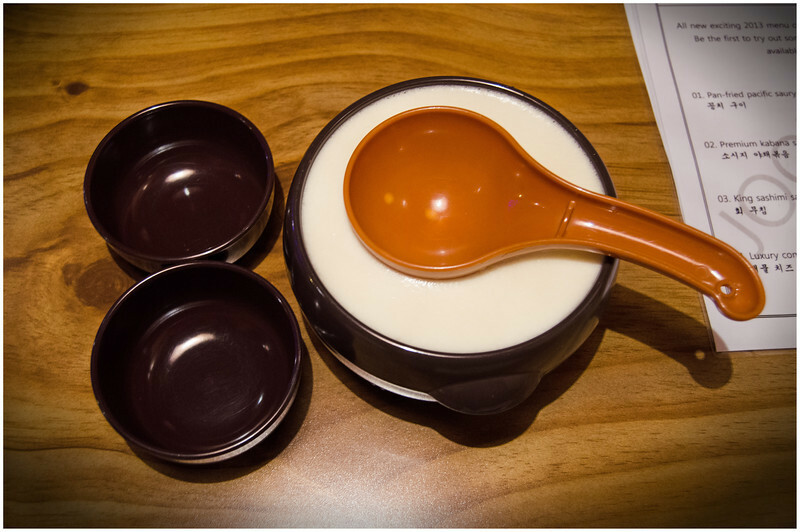 Fruity rice wine – makgeolli! 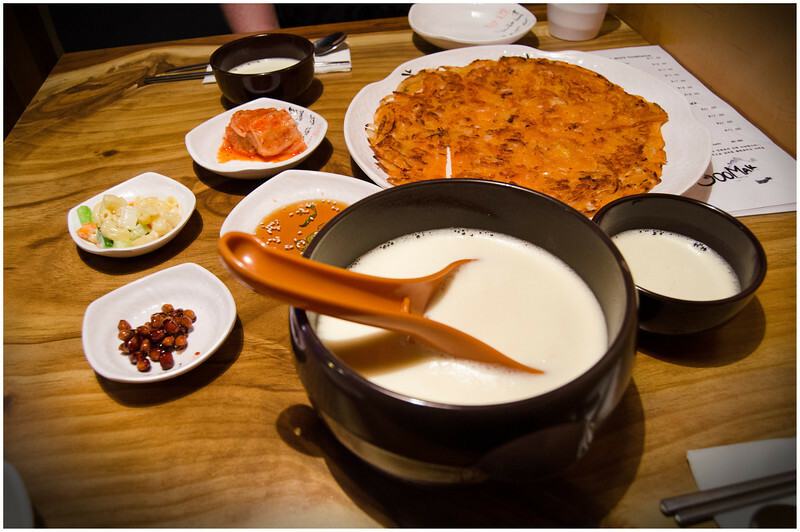 Together with the makgeolli we ordered a kimchi pancake, which came with a spicy dipping sauce, kimchi, soy beans and a small pasta. The pancake was a lot larger than we expected and tasted great! 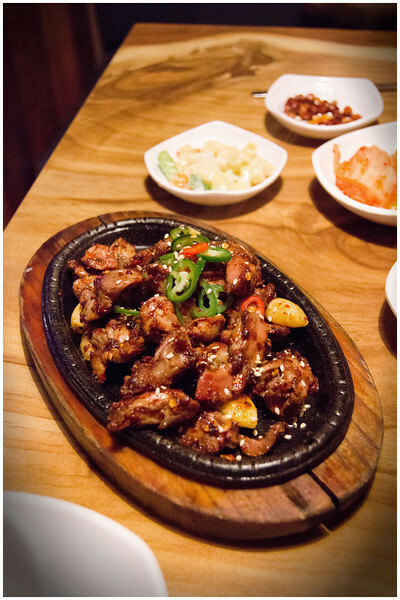 We then ordered a dish that’s even more left-field than you’re average Korean meal…pan fried chicken giblets! I was a little apprehensive, as I have had some pretty rank offal in the past…but this was absolutely sensational. Cooked to perfection, these tiny morsels were crunchy on the outside, tender on the inside and full of great flavour! To finish, we had to try the traditional Korean dish known as bulgogi. I think this translates to ‘fire meat’ in English, a reference to the way in which the meat is typically cooked on a griddle or brazier (as opposed to a brassiere…). With a massive exhalation, we both leaned back, patted our distended bellies and declared the night at Joomak Melbourne a success! Looking for more South Korean food? Do you love Korean food? Maybe you’re thinking of visiting South Korea? 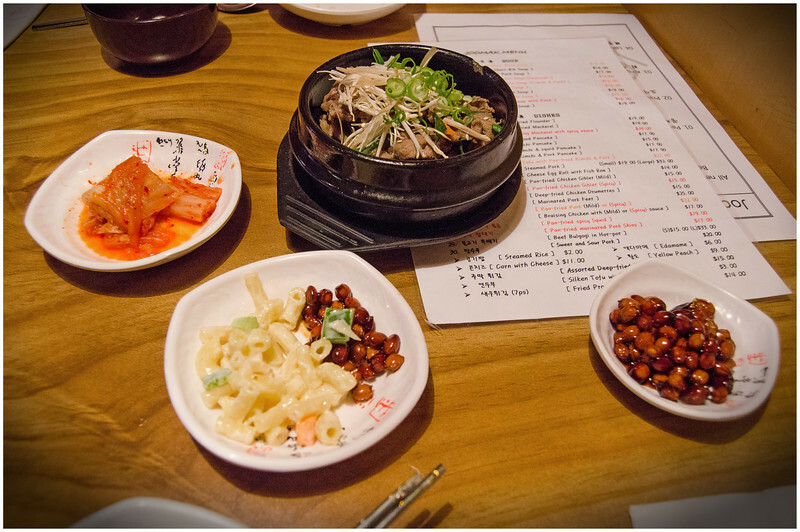 Or perhaps all this food from Joomak has made you a little bit home sick? 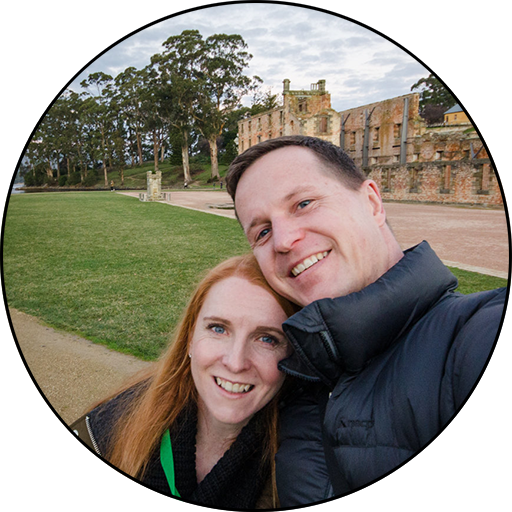 We spent 4 weeks travelling in a huge loop around South Korea, so if you’ve got any questions at all just let us know! Hiking Mt Hallasan on Jeju Island – This volcano hike on South Korea’s honeymoon island has to be seen to be believed! 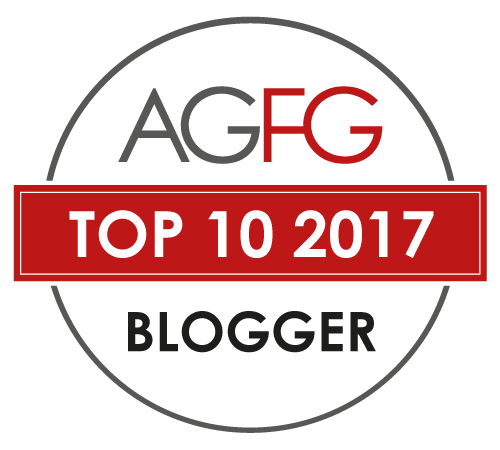 Street food in Seoul – This is a fantastic food tour that we took through the narrow streets and neon lights of Seoul. Happy travels, and full bellies! haha..awesome write up! The red button is a great idea!